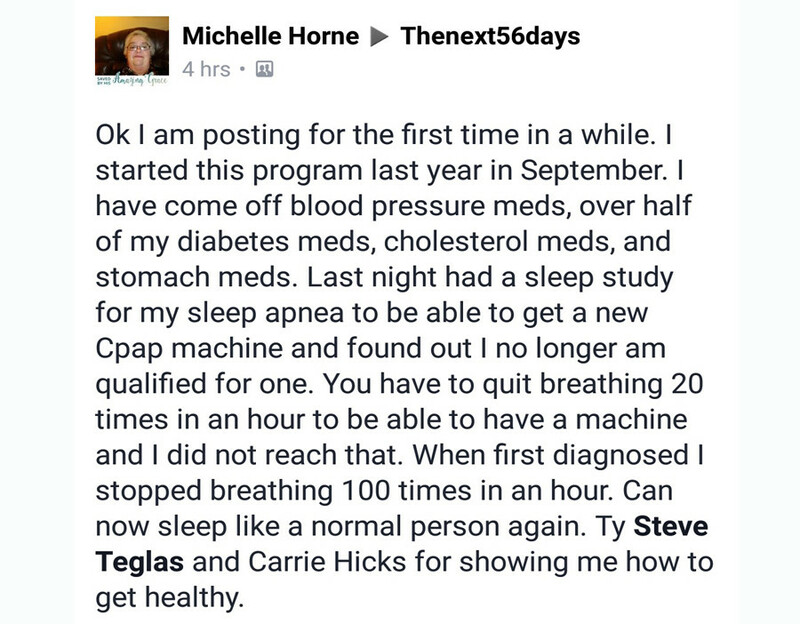 "This program has literally changed my life. 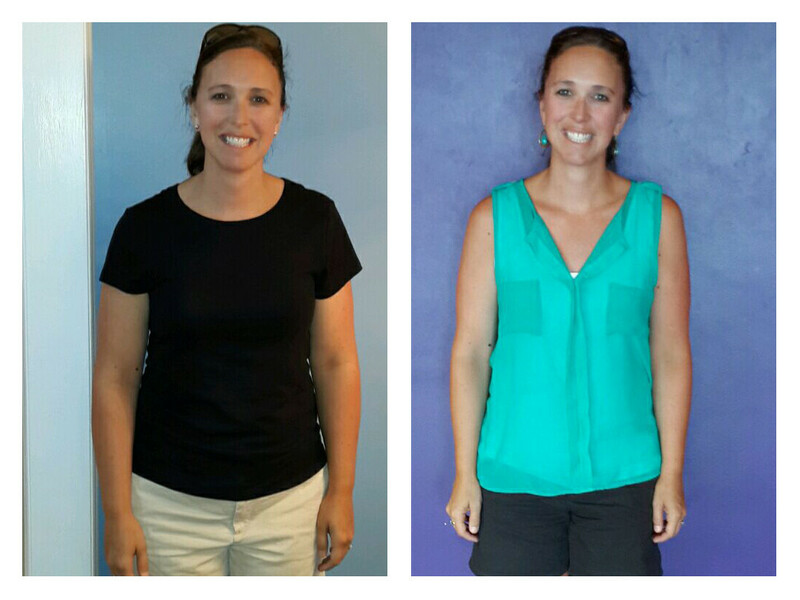 I have released 35 lbs., I went from a size 14 to a size 7, and I have drastically reduced the inflammation in my body that I have had problems with for years." 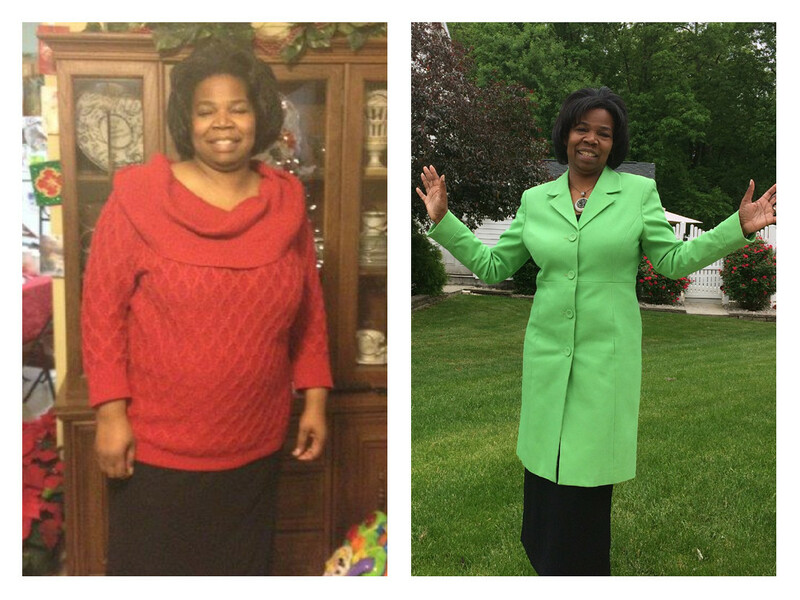 SHERRY KEYE, Released 35 lbs., Said Goodbye to Inflammation! 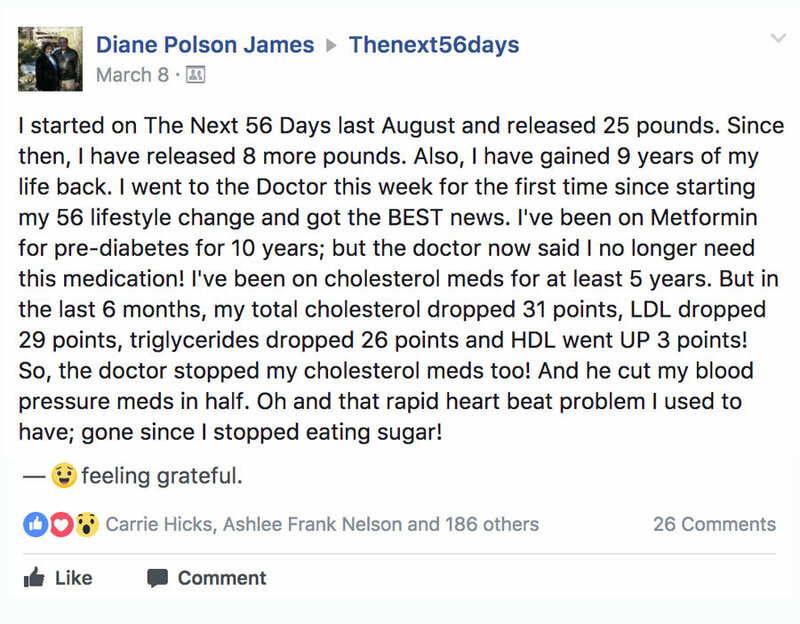 "Before The Next 56 Days, my A1C was 8.1. I was diabetic. 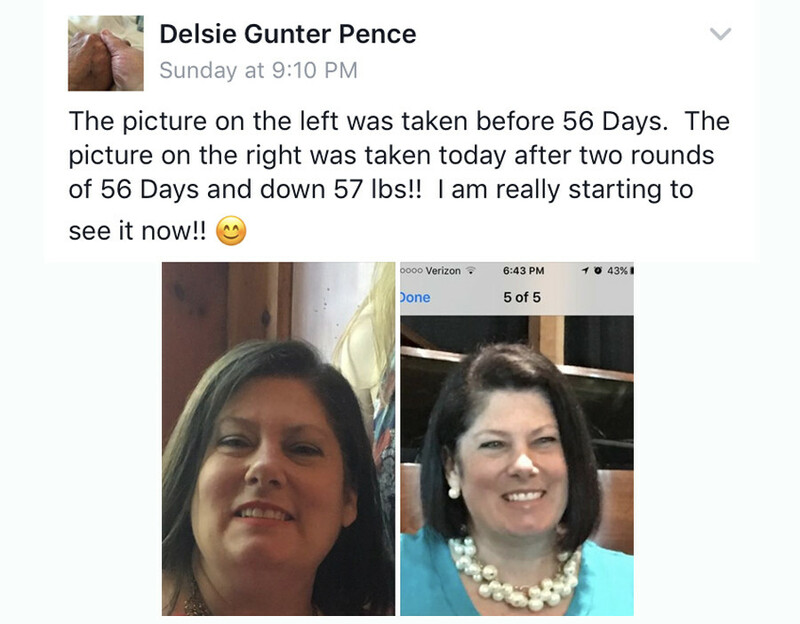 Since going through the program, I've released 81 lbs., my A1C is down to a normal 5.5, I'm off three blood pressure medications and I feel the best I've ever felt in my life." 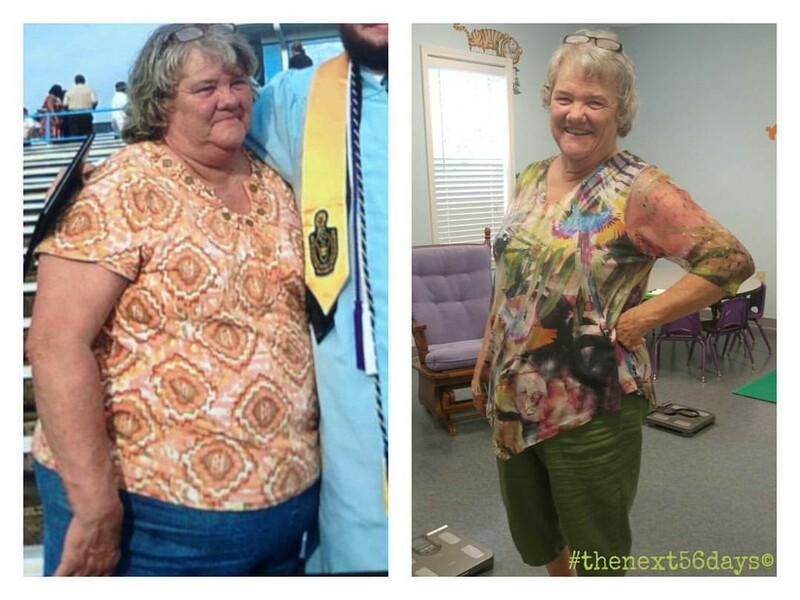 JUDY FREUND, Released 81 lbs., Said Goodbye to 3 Blood Pressure Medications! 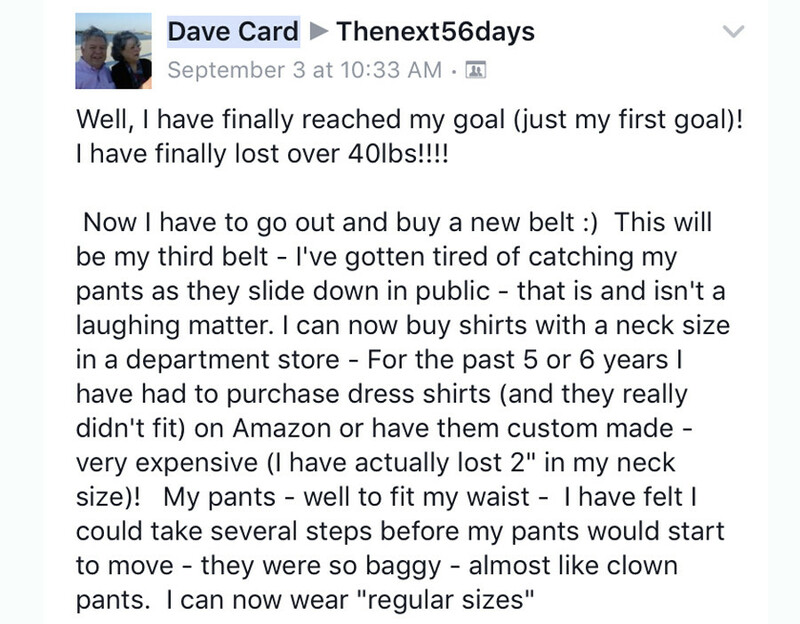 "The Next 56 Days has transformed my life! 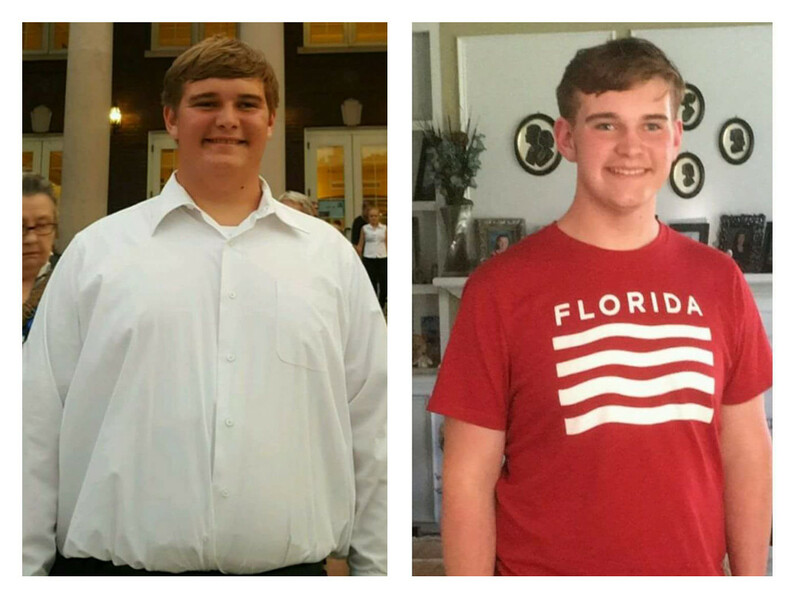 I am proud to say I have released 75 lbs. and now, it's all about being healthy for my family. I cannot even express what a blessing this program has been for me." 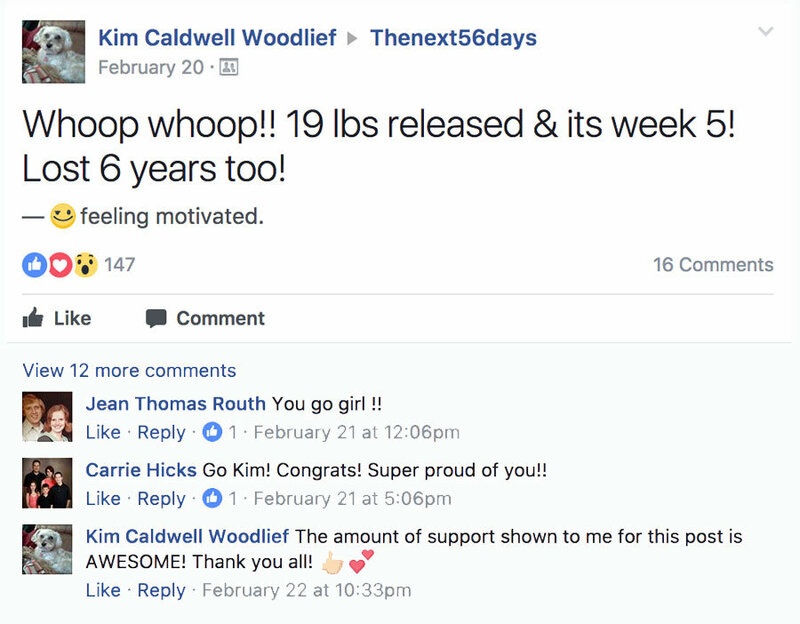 TAWANNA WILLIAMS, Released 75 lbs.! "The Next 56 Days has prolonged my life. Before the program, my sugar was over 300. Now, without medication, it's under 100. It works. 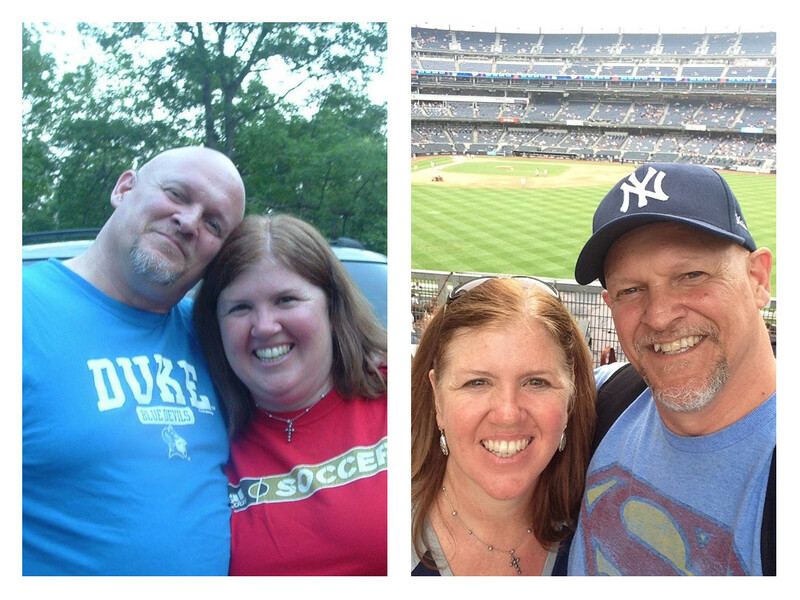 We look younger, feel better, and have more energy than we have in a long time." 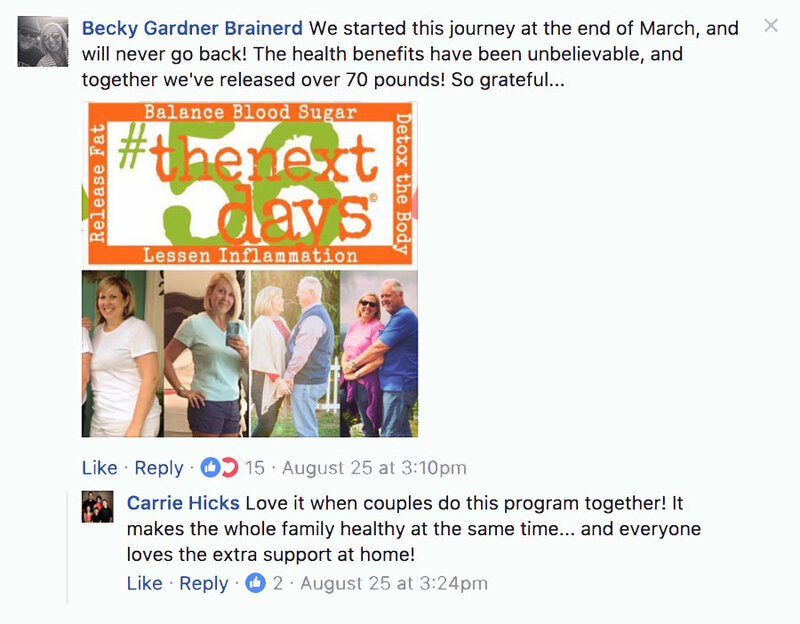 CHARLIE & CONNIE COLLINS, Released Combined Total of 122 lbs., Said Goodbye to Medications! Released a total of 81 lbs.! 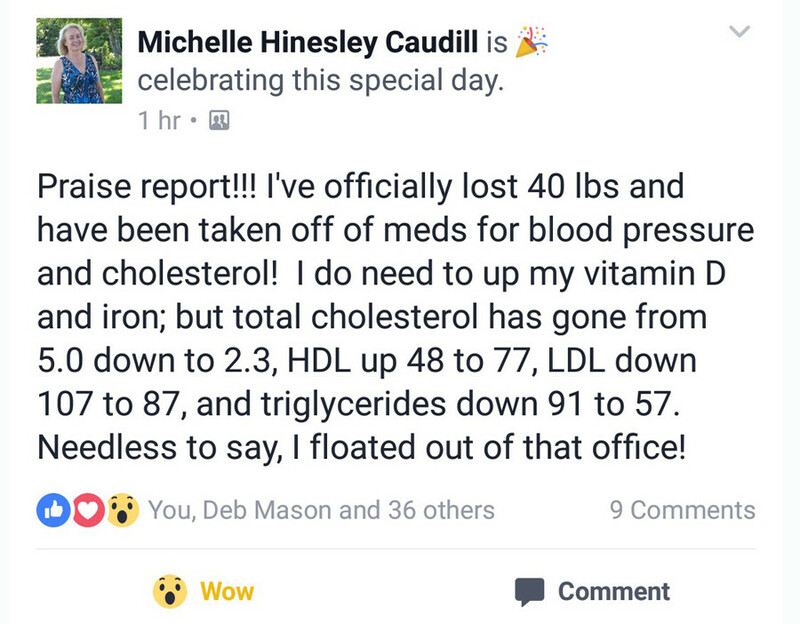 Taken off of 3 Blood Pressure medications by Doctor! A1C has lowered from 8.1 (Diabetic) to 5.5 (Normal)! Released a total of 46 lbs.! 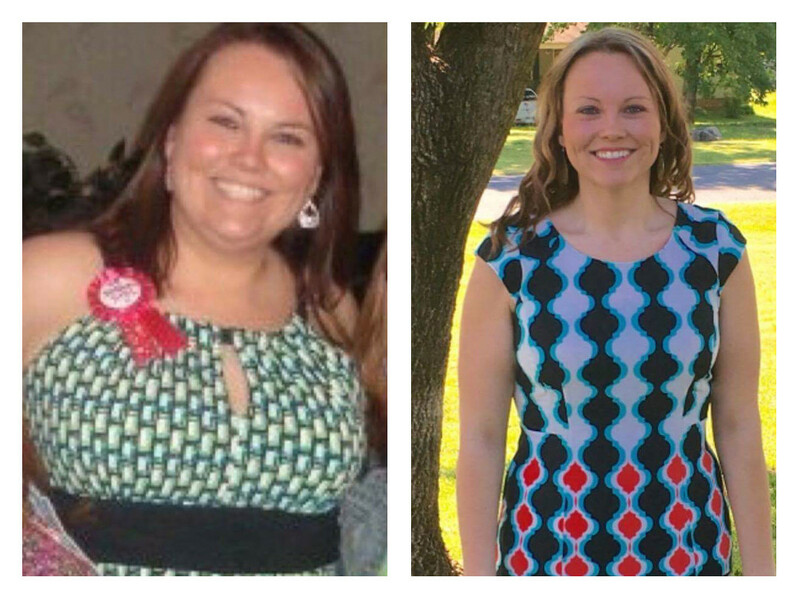 Went from a size 18 to a size 8! 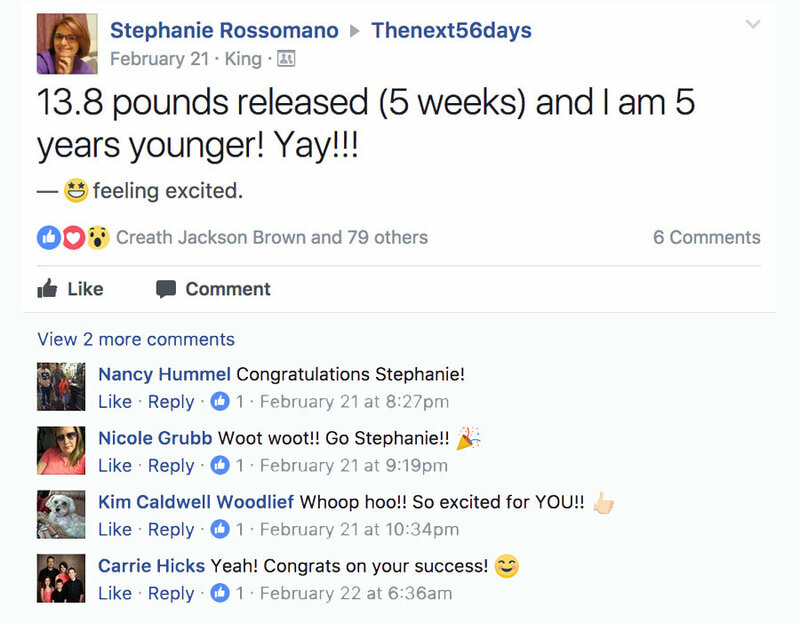 Feels better at age 28 than she did at age 18! Released a total of 75 lbs.! Healthier skin, hair and nails! Best biometric screening in years! Released a total of 50 lbs.! Got winded walking up a flight of stairs before, can workout for an hour now! 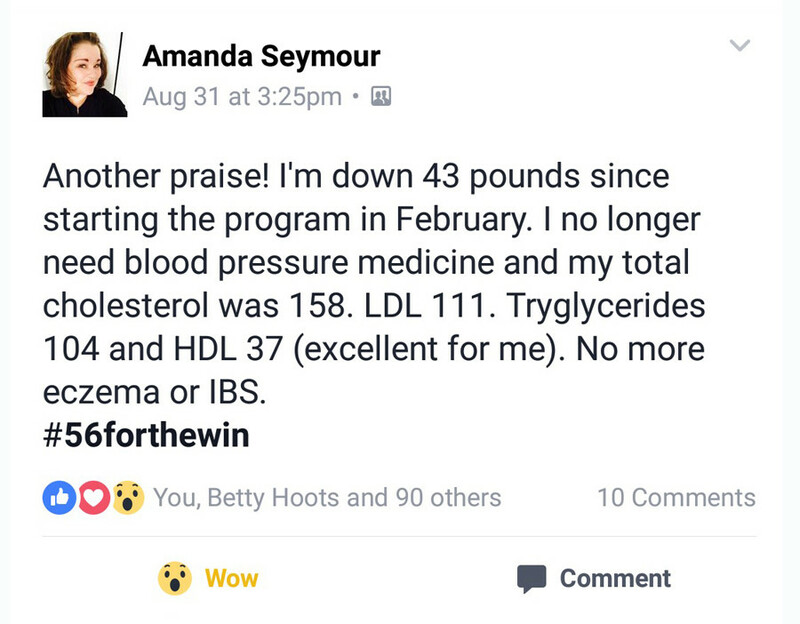 Blood sugar from 300 to less than 100! Look and feel younger than ever! Released a total of 35 lbs.! 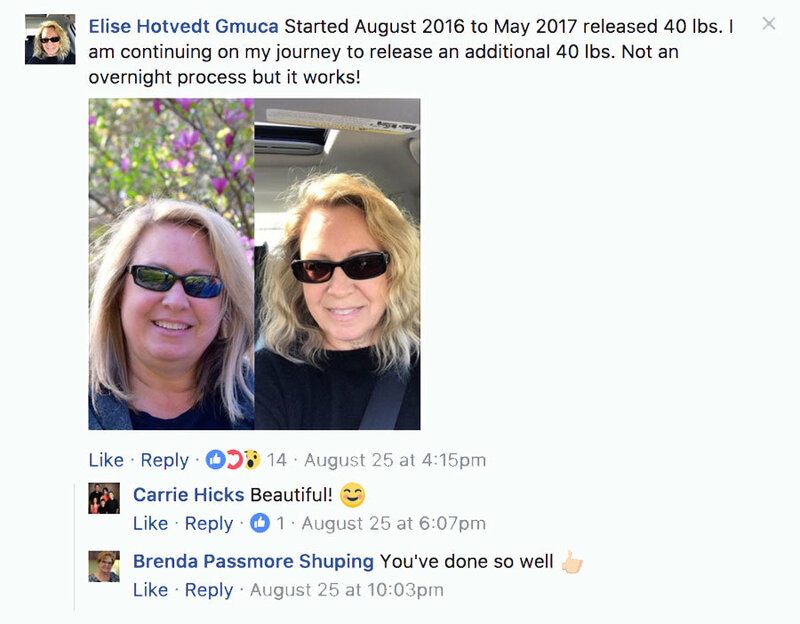 Drastically reduced inflammation throughout the body! Went from a size 14 to a size 7! 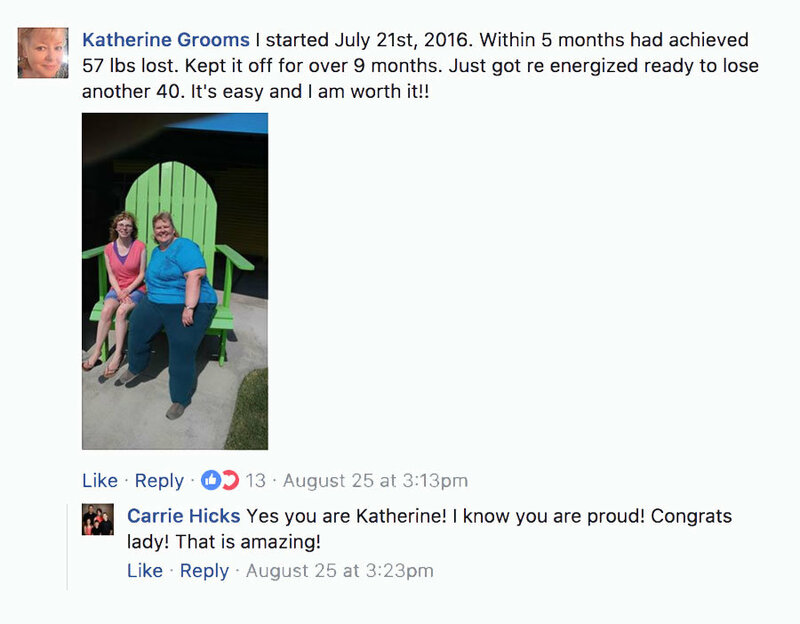 Thousands of people just like you have changed their lives by taking control of their health and becoming the person they’ve always wanted to be. 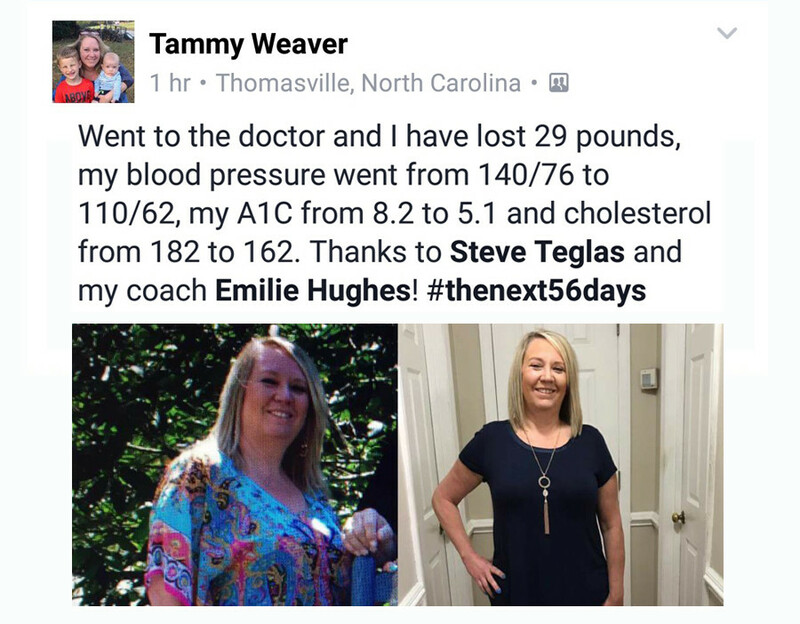 Consider the difference that 56 days can make in your life and let us show you a simple, sustainable approach to getting healthy today.